Zanu PF has decided to stick with its long serving leader, 89 year-old President Robert Mugabe, as its candidate in the forthcoming general elections. This post arose from a Facebook thread that asked what would happen if Zanu PF lost the forthcoming general elections. A contributor on the thread argued that a spell in opposition could do Zanu PF a world of good in terms of shedding dead skin and rediscovering its ideological compass, and I agree with him. Any serious Zanu PF supporter who does not acknowledge that the party has since ceased to be a hegemonic force can't be of true service to its future. Hegemony means more than state power; it relates also to the prevailing ideas, vision and the embodiment of popular aspirations. Zanu PF has become stripped down to a political machine for gaining and keeping state power. It is afraid of losing control of the ideological state apparatus (the media, especially broadcast media, and the state bureaucracy) and the coercive state apparatus (soldiers, police, intelligence, youth militia) because those are the two pillars of central resort without which it becomes an ordinary party, exposed for its governmental failures and excesses. The main challenge to reforming Zanu PF is that it has been overrun by lifelong careerists and treasure hunters. President Mugabe's desire to rule for life opened the door to all his comrades who go back to the liberation struggle to also see their role in government as lifelong. In that sense, Zanu PF has failed to emulate the leadership renewal that its fellow National Liberation Movements in SADC have done, such as Chama Chama Pinduzi in Tanzania, Frelimo in Mozambique, ANC in South Africa, and SWAPO in Namibia. Only MPLA in Angola shares Zanu PF's experience, but again Angola spent more than 20 years of post-independence locked in a brutal civil war. Secondly, the system of patronage that evolved to secure this long incumbency also sustained a culture of patronage spreading its tentacles deep into the national economy. So, when Phillip Chiyangwa said recently on national radio that he told aspiring businessmen that they couldn't be rich unless they joined Zanu PF, he was right! Every treasure hunter in town now knows that, and the entry requirements are simply that one should be able to chant a party slogan and throw empty epithets against the imperialists (even though the treasure hunter really wants to be able to fly to imperialist America and Europe and enjoy his Zanu-enabled money, purchasing BMWs, Benzes and Range Rovers!). Even the party President Mugabe himself has come out on numerous occasions attacking moneyed people who think they can buy their way into positions in party structures. Sadly, many a times they have, and such distortions of participatory frameworks have caused much rancour during candidate selection primaries. Is it possible for Zanu PF to reform while in power? Certainly, the possibility for some form of reform does exist because the MDC (taken together) has failed to develop into an AUTOMATIC alternative (I didn't say that it’s not an alternative at all; it is, but it has to work hard to totally eclipse its rival). 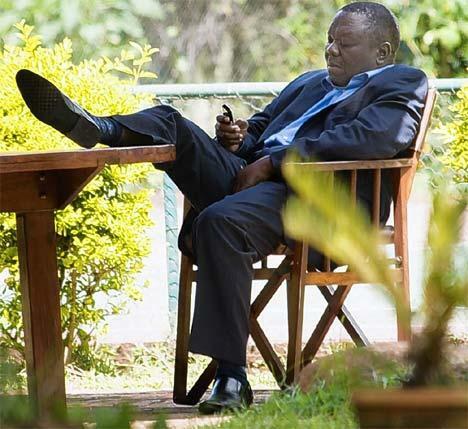 The MDC has failed to evolve from its coalition roots to achieve ideological clarity. It remains a ‘spaghetti mix’, as described by its leader, Prime Minister Morgan Tsvangirai. A Bolognese, more likely! The MDC has been forthright in its critique of Zanu PF’s failures and in its clamour for further democratisation of state and society. But it has failed to connect with the original agenda of national liberation because it has deliberately ignored doing so. Testament to this is its failure to engage proactively with land reform, at worst appearing totally antithetical to the agenda for wholesale land redistribution (senior officials such as Fidelis Mhashu went on British television to announce that the MDC would return land to white farmers). And while the current economic indigenisation programme is deeply flawed, it nonetheless holds an unassailable principle at its core and instead of being totally thrown out it needs more fine tuning. But again, there is also a glaring absence of policy debate on that score within the MDC; instead there is umbrage and vows to roll back the programme once in government – alone. By contrast, the debate in Zanu PF is heated and it is centred on alternative approaches to indigenisation. RBZ Governor Gideon Gono has proposed a supply side approach to indigenisation while advocating restraint on the financial sector (which, truth be told, is already indigenised). When Deputy Prime Minister Arthur Mutambara joined the MDC proclaiming that he stands on the shoulders of Tongogara and Nikita Mangena, he was trying to infuse something that was damagingly missing in the MDC movement's ideological lenses. He correctly read that national liberation is the bedrock that makes everything else possible and that while attacking the failures of the party of liberation, the MDC equally had to clearly and unambiguously voice their support and defence of the values and aspirations of national liberation. But unfortunately, the MDC parties have largely failed to do this even after more than 13 years in existence. This explains their failure to attract significant following among war veterans. For such a widely popular movement, it is amiss that the MDC's prominent ex-military men are all former Rhodesian Front, including the MDC-T’s long-serving defence secretary, Giles Mutsekwa. 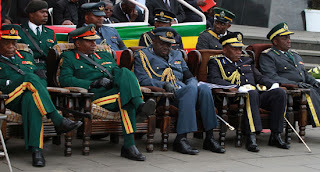 It is no wonder, therefore, that there has not been any real engagement between the MDC and the Zimbabwe Defence Forces on the much talked about security sector reforms. So in a word, because the MDC is an incomplete post-nationalist alternative that has ignored the necessity of deliberately connecting with the bedrock of national liberation and being as vocal about it as they have with the democratisation agenda, there is a possibility that Zanu PF can repair their car while they're driving it. But do they have the courage to make a pit stop and take a look at the engine while the tyres are changed? 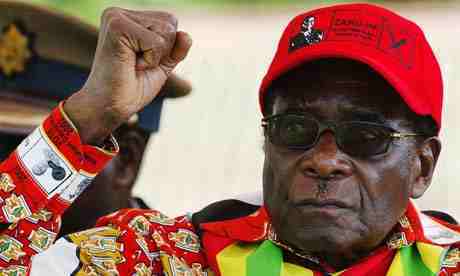 By sticking with the 89 year old President Mugabe, it doesn't appear so. They're determined to cross the finish line on the old tyres first before they can really look at major repairs in the safety of a fresh term. What worries most people is how Zanu PF will ensure their gamble of sticking with President Mugabe and the entire old guard intact will secure that much needed fresh term without resorting to violence and electoral chicanery. 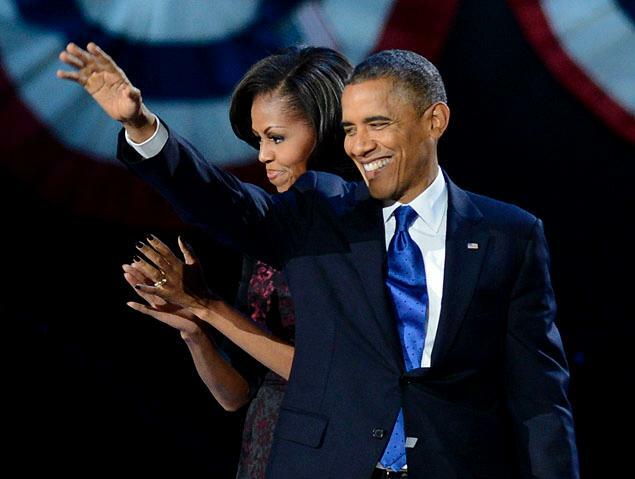 One hopes that conditions akin to that of the June 27 presidential runoff in 2008 aren’t revisited.